”During its 61-year history, the Islamorada Fishing Club has championed Florida Bay conservation, tirelessly promoted saltwater fishing in the Upper Keys and evolved into a venerable community institution. 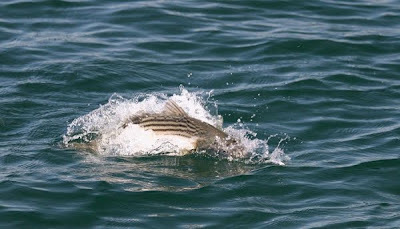 ”Winter fishing for striped bass has been spotty this year,which is a sign of the times. Striper numbers appear to be declining again, or at least from the high levels to which anglers have become accustomed over the past decade. ”The decline became evident in 2011 and probably will continue this season. Give Up Fishing for $500? 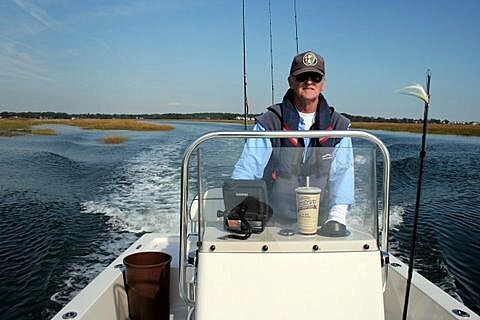 ”The federal government wants to put a price tag on the value of recreational fishing. And in an unusual study, an economist with the National Oceanic and Atmospheric Administration (NOAA) is offering Massachusetts fishermen cash to not fish. With winds from the east [100 degrees true], fishing the Ocean side is out of the question and the water temps have fallen 10 degrees on the Bay side since this mess of weather hit…plus bay waters will be churned up and full of sediment. Forecast is east winds 15 to 20 knots. Bay waters choppy. Isolated showers. 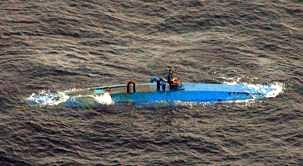 Wonder how one of those drug-runner, semi-submersible boats would work as a fly-casting platform?